Intriguing history and cultural heritage make Sibenik another destination worthwhile visiting. 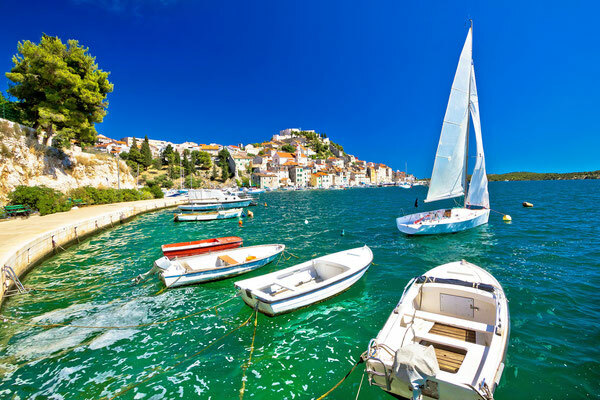 The archipelago of the Sibenik Riviera is made up of 242 islands, islets and reefs boasting of picturesque coves, pristine sea and tranquility. In this area you will find the Krka and Kornati national parks, and the towns of Sibenik, Vodice, Primosten, Rogoznica and the island of Murter being perhaps the most renowned to visitors. Sibenik town is located in a gorgeous bay, where the river Krka flows into the sea. Historical monuments to visit in Sibenik include Cathedral of St Jacob, St Krsevan church, St. Francis church, the city hall and the St Michael, St Ivan, Subidavac and St Nicholas fortresses.